A house is the largest financial investment that most Americans will make in their lifetime. Rising housing prices may prevent individuals from achieving this financial milestone and can keep households in rental properties rather than ownership. Additionally, if house prices go unchecked, it can result in the displacement of residents who can no longer afford to live in a community and eventually even lead to increased homelessness. 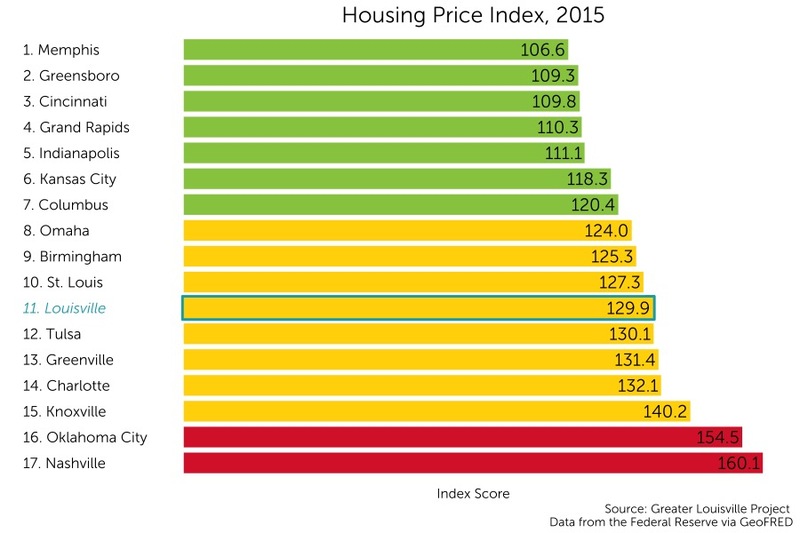 Louisville is currently ranked 11th among its peers in the housing price index with an index score of 129.9. The housing price index, which is reported by the Federal Housing Finance Agency, measures average price changes in repeat sales or refinancing on the same properties. It serves as an accurate indicator of housing price trends in an area. On this metric, Louisville ranks among the middle tier of its peers according to a natural breaks algorithm. Cities in green are those that outperform their peers, cities in yellow represent the middle cluster, and those in red are a group that lags behind its peers on this indicator. The housing price index in Louisville has been increasing since it reached a minimum value of 120 in 2011. 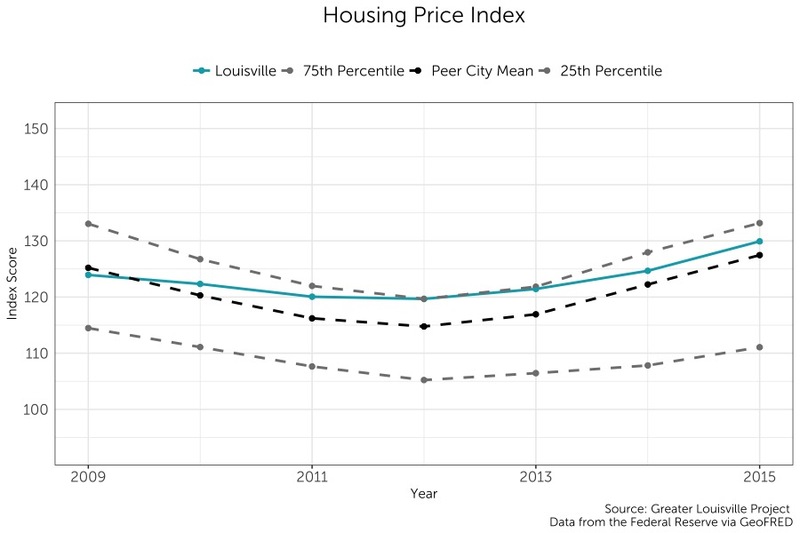 Louisville’s housing price index has consistently been higher than its peer city average.